Ziro is a small census town in Arunachal Pradesh; it is also nominated in UNESCO World Heritage Sites. It is famous for it’s scenic beauty of pine-clad hills and rice fields all around. It is home to the special Apatani tribe that is different from other tribes with characteristics such as permanent settlement, wetland cultivation and face tattoos. Ziro that is secluded otherwise becomes a much happening site during the festival time. It is amazing to see how people from all over the country are pulled towards this remote area to witness the greatest outdoor music festival of India. A person needs the ILP-Inner Line Permit to enter Arunachal Pradesh, take an overnight train to reach Naharlagun and 3-4hrs-bus/car journey ahead to reach Ziro Valley. But only once you are here, you will realize the worth of the entire struggle. 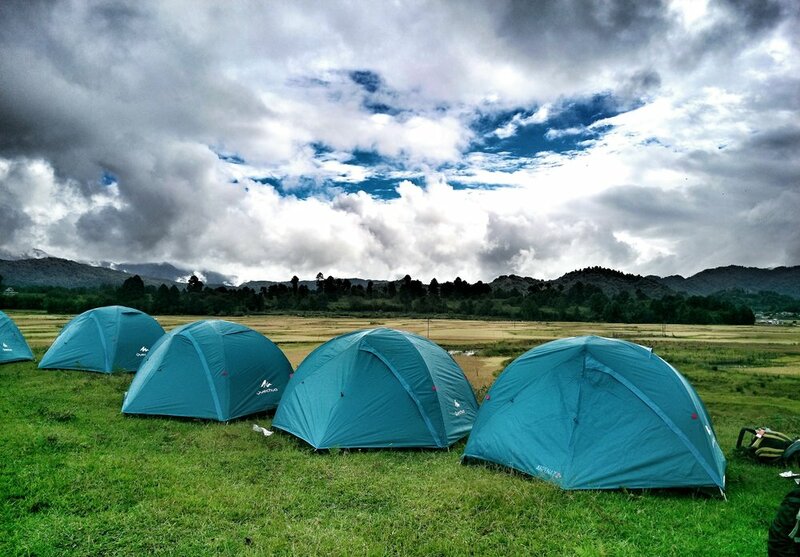 The journey, camping, grooving with the music and getting high on rice beer, in a location so untouched and untrue is the united experience of Ziro Festival. There are a few camping options in and outside the campus during the festival. It is most required to book your festival pass and accommodation well in advance. To make all that easy for you there is ChaloHoppo- the most popular and loved travel agency of North East. They will not only make your stay comfortable but will also add a lot more excitement with their wondrous adventure ideas. The ChaloHoppo team makes it their prime concern to take care of you and make sure that you get to experience the traditions and cultures closely. It is the one point solution to your permit, transport, accommodation, festival passes and everything else you may need! Pink Floyd, The Rolling Stones, AC/DC, Nirvana; well North-East is all about Rock Music. If you are a rock music lover, Ziro is the best thing you can treat yourself with! With gaining popularity and to keep it interesting Ziro hosts international artists participating from different countries like Thailand, Israel and Italy. With all that it becomes a fusion of all kinds of rhythms, melodies, harmony, tones, timbre and dynamics. To listen to the morning practice session with my hot Cuppa Hot Chocolate, was my favourite Ziro moment. With live music, mysterious culture and traditions- Ziro is an exceptional experience and the best outdoor music festival in the country! Music has played a prime role in all customs and traditions in all parts of the world. It is used to share joy, sadness, separation and all kind of feelings that penetrates emotions. As each region has its own instruments and tunes we have a galaxy of new music genres to explore, and with that comes the excitement to broaden the horizon and enjoy each beat. It’s an almost proud thing how we have learned and created the magic of music. · Since it’s an outdoor festival it can get a little chilling at night so carry some clothes that keep you covered. Keep mosquito repellent and beware of leeches.